The ocean asserts a temporality on each landmass it comes in contact with. Whether perpendicular walls of rock eroded over centuries or tidal beaches that are replenished numerous times across a day, the ocean’s interaction with land is one that creates a cycle based around time and erasure. Origins of this understanding often start with childhood sand castles on the shore – hours of work in creation of some epic architectural feat are lost in moments by one overzealous wave scouring its way up the beach. In that instant, time spent is reclaimed by the sea – the slate of the shore washed clear, like a memory erased. 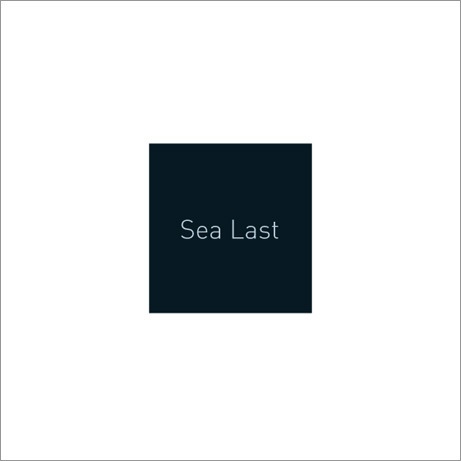 Memory is one of the key themes American photographer and composer Taylor Deupree explores through Sea Last. Like many American youngsters, Deupree’s summers were peppered with visits to the Florida coastline where he became fascinated by the ebb and flow of the tides – the constant state of flux, as beaches dotted with footprints, engravings and debris were smoothed over creating effortlessly rejuvenated surfaces. Sea Last collects images across five days (April 24-28 2008) on a beach in Venice near his childhood holiday home. For Deupree it is a reflection on an ever-transmutable environment that holds both a deep fascination and personal memories for him. Sea Last also eludes to another contradiction of the sea – one concerned with perspective. Once we pass beyond the shore, the vastness of the water’s surface suggests something of a ‘stillness’ perhaps even a ‘timelessness’. It is a space so epic that it becomes impossible to survey in detail. As one peers out to the horizon or from the window of a plane at high altitude the movement of individual waves are lost – something proposed by American Romantic poet James Russell Lowell who wrote “There is nothing so desperately monotonous as the sea…”. Sea Last raises a question of perspective – specifically where we choose to place ourselves as ‘viewers’. Indeed, the camera serves an important function, the film medium itself shaping the viewer’s position. Rather than utilizing a more documentary style approach, Deupree’s Polaroid back Holga – a cheap but unique camera with a low clarity plastic lens – offers a somewhat obscured and cloudy impression of the Florida coast. Within the images nothing is clear or sharp, and instantly they produce a sensation of ‘natsukashi, the Japanese word that refers to sentimental memory (usually with a sense of fondness), and ultimately their blur engenders a ubiquity that recalls the beachside photos we have all taken – familiar yet distant. Unlike Hiroshi Sugimoto’s Seascapes works or Takashi Homma’s New Waves, Deupree tends towards a more personal, subjective and uncontrolled impression of his chosen environment. He takes in the entirety of the shore, from the dunes to the beginning of the sea building a memory-scape we are invited to explore. The 238 selected images, ask the viewer to fill in the detail of the image, edit or embrace the blurs, flares and dimmed corners – and in the process invest some of their own memory in the instant of each Polaroid. Thus Deupree’s subjectivity is mediated by the film stock itself to allow for the viewer’s experiences to become projected into the series. Equally there’s a mimetic quality to Sea Last’s audio component recorded in June 2008. The textures generated create a washing sweep as sound parcels are moved across the stereo field, their motion creating a gentle lull that suggests tidal flows and the shimmering qualities of blown dune grasses. In each Sea Last produced, there is one original Polaroid image with the corresponding printed page left blank, making each copy unique and by default limiting the entire edition to 238.